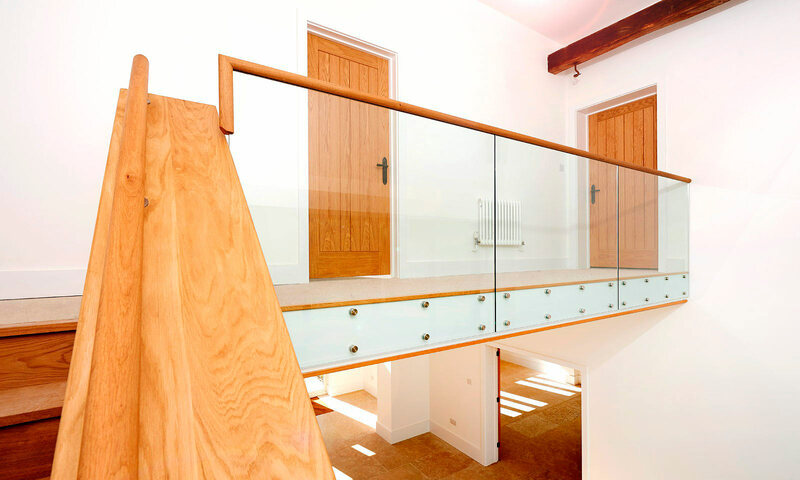 The glazing screen and staircase were commissioned when this traditional barn was converted. The huge reception area has fantastic views to the garden and we designed the staircase to ensure that it didn’t detract from the room or the view. 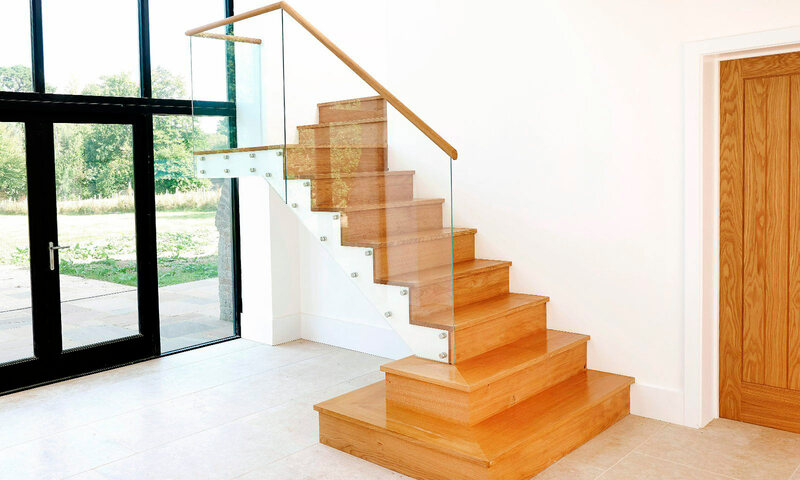 The staircase and the beautifully tactile bannister are manufactured in European oak and feature toughened glass panels and stainless steel fixings.